How often do you look into your wardrobe and feel your heart sink? How often do you see something in a store and buy it on impulse, only to find it at the back of your cupboard months later with the tags still on? If you are anything like me the answer is many, many times! I used to be a serious impulse shopper who couldn’t resist a bargain. 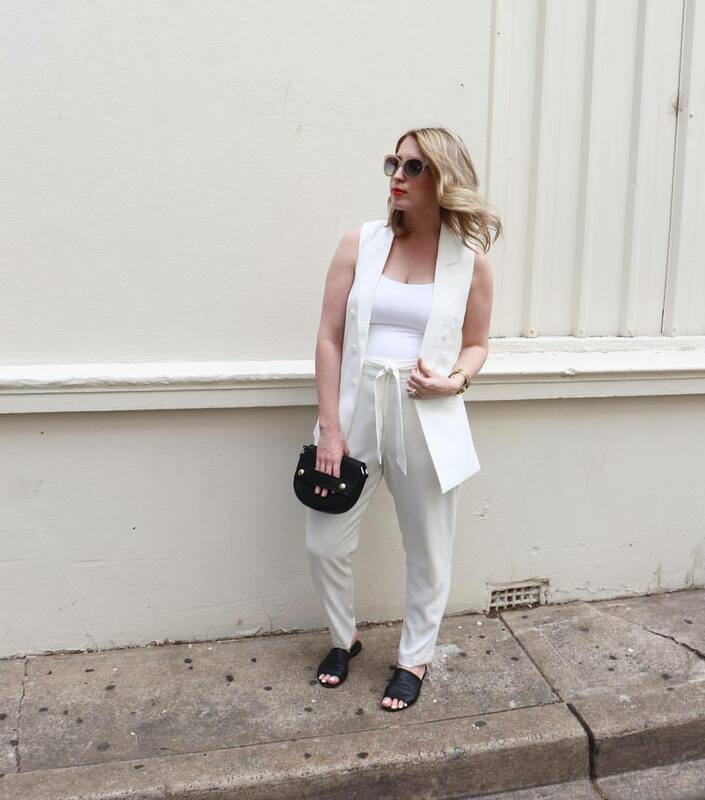 Working in fashion for over a decade, with easy access to discounts and warehouse sales, left my wardrobe overflowing with options. And yet everyday I would get up, stare into my wardrobe and feel like I had nothing to wear. I’d go about my day feeling like what I was wearing didn’t reflect my true style. I couldn’t understand it, I worked in fashion, I was creative and intelligent, why couldn’t I put a look together I was happy with? This of course went to a whole new level when I got pregnant. If I thought I had nothing to wear before, you can only imagine how hard I found dressing for a season of body changes, breastfeeding and running after a mucus producing toddler! To be honest I totally gave up. Is it clean, is it comfortable, were the only criteria. If it wasn’t easy to throw on it went to the back of the closet. I soon realised that I needed to take back control of my wardrobe and get myself out of my style rut! But it had to be easy and sustainable over the long term, or I knew it wasn’t going to work. I never really had a lightbulb moment or life changing event that set me straight, but slowly over time I discovered ways to make dressing much easier and more fulfilling. My instinct to make my life easier lead to simplifying my style and ultimately making my dream wardrobe achievable. Today I have never felt more confident in what I wear and am so inspired to help others achieve the same. Do a Wardrobe Cleanse! – When your wardrobe is cluttered it takes up space in your home, your mind and makes it almost impossible to make a quick decision. Get rid of anything that no longer reflects who you are now. If it doesn’t fit, don’t hold onto it until it does. 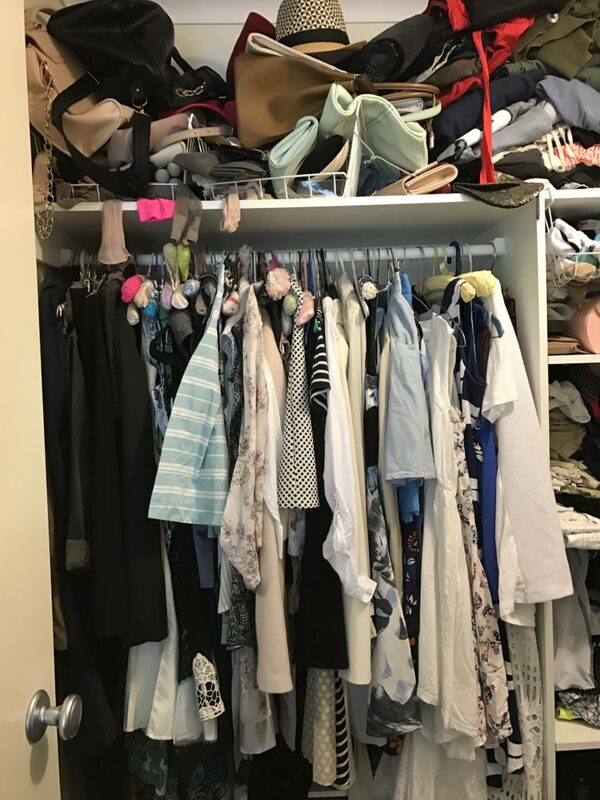 You would be surprised how many times I’ve gone through a client’s wardrobe and found clothes that are too small, and about 10 years out of date! They swear blind ‘when they lose the weight’ etc they will wear it again. Well guess what? When you do lose the weight, that style won’t be current, it will smell musty and be eternally creased from being shoved at the back of your wardrobe! Do yourself a favour and buy something new and special. You totally deserve it! Which brings me to my next point. Wear Luxe…Everyday – Wear something everyday that makes you feel special. I achieve this by spending the bulk of my budget on quality, everyday pieces I love. This is by far the most effortless way to look luxe. I always choose the best quality pieces I can afford because not only do they last longer, are often more ethically made and environmentally friendly, they make me feel like the best version of myself…everyday. This means the handbag I carry, the coat I wear all winter long or the sheets I sleep in, anything I am in constant contact with, has to be something I love. Don’t blow all your money on something you’ll wear once, like a dress for an event. Buy quality everyday pieces and you’ll feel more confident, more often. Plan your outfits – while it might sound like a lot of work, planning what you are going to wear saves you so much time in the long run. 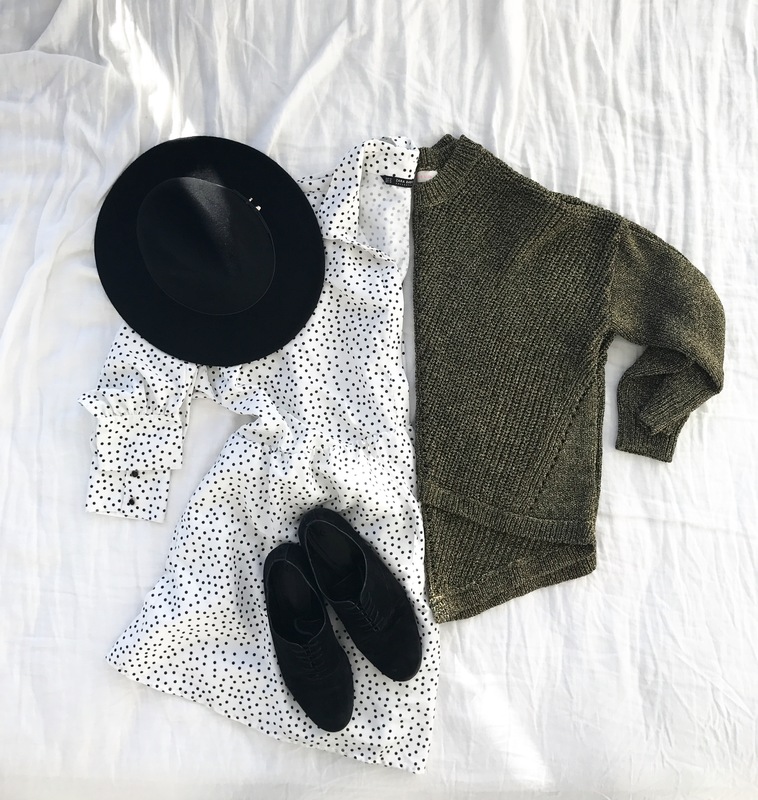 There are many easy (lazy and a bit cheaty) ways to do this, but my main ones are: a) Lay your outfit out the night before. I remember when I first started exercising regularly I found it so hard to get up in the morning. A friend suggested that I lay out my activewear the night before so the decision to workout was already made. I was shocked at how much easier it was to get out the door. Handy when you haven’t had coffee yet! b) When you are having a good outfit day, take a snap and save it to an album on your phone. If you are having a particularly good day try putting a few outfits together while you feel inspired. Then when that dreaded ‘I have nothing to wear’ feeling comes up, you will have an album of outfits ready to go. There some good apps that can help with this also. I personally use Stylebook as it’s super easy once set up and I can sit on the couch watching Netflix, create dozens of outfits from things I already have in my wardrobe, all without getting up. I can even add things straight from the internet and see what they will go with, before I buy them. It also comes in handy when out shopping, as you can quickly see if you already have something similar and don’t double up. Hopefully these points help you on your way to an effortless wardrobe, that reflects your true style. Please feel free to ask questions below and if you think you need more help, I have wardrobe and styling packages available on my Services page. 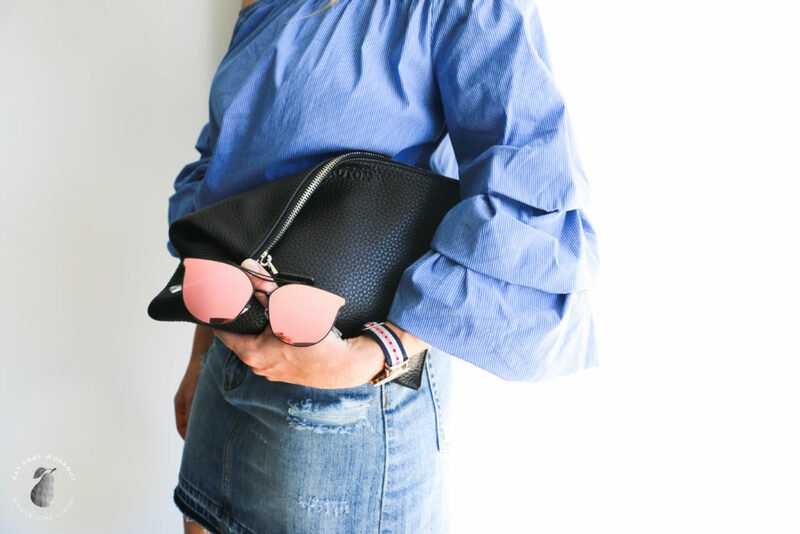 Ruffle, split, bell, frill, whatever they’re calling them, we are all talking about the same thing.. puffy sleeves! Yes that’s right folks, forget about your mid-drift, this season everyone will be focusing their attention on your arms. Think light weight fabrics, asymmetrical, fixed or free flowing ruffles with lots of volume or in boyfriend speak: Puffy Pirate Shirts!